Welcome to the Atlantic Canada Aviation Museum. We are now closed for the season, REOPENING MAY 18, 2019. Off-season tours are available most Saturdays upon request; email us at Tours@ACAMuseum.ca to book a tour. Volunteers are at the museum most Saturdays from 10 am – noon and 1 pm – 3 pm working on restorations. Drop by to see them in action or lend a helping hand (entrance by hangar door). Our 5th Annual Family Fun Day will be held on June 22, 2019 and our 4th Annual Wings ‘n Wheels Day will be held on August 10, 2019. Planning is already underway for these and other summer 2019 events, so be sure to check back regularly for up-dates. And if you ever wondered what goes on at the Museum during the winter, well let us share with you some photos from our washroom restoration – click here. Exit 6 off Highway 102, across the highway from Halifax Stanfield International Airport. 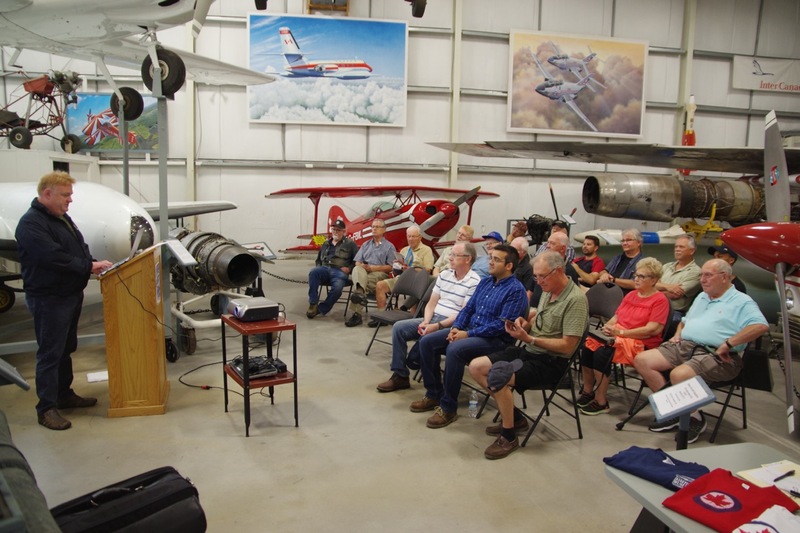 If you wish to book an out of season tour you can do so by emailing us at Tours@ACAMuseum.ca Most tours take place on Saturdays when our team of volunteers are at the museum working on many restorations projects. The Museum is now closed now until May 18th 2019. 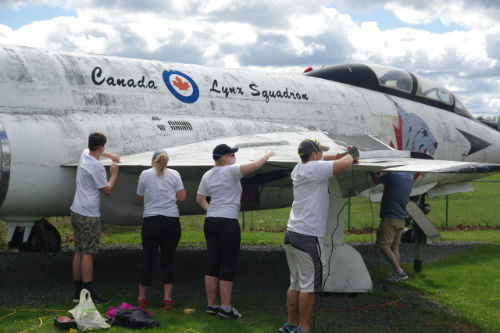 Finally after a lot of time, dedication and hard work by a fantastic team of Royal Canadian Air Force volunteers from 12 Wing, Shearwater, our very own Lynx One Voodoo has been lovingly restored. She once again stands proud against the elements outside the Museum. To read the story and see the pictures of her restoration click here. Better still why not come and see her in all her glory now that we are open again for another season. 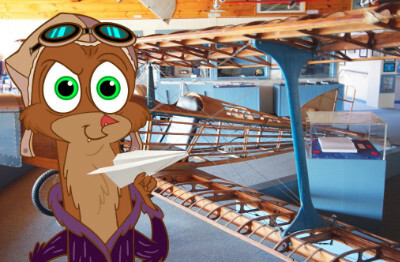 Come and have fun with Billy Mink, help him on his quest around the Museum, see what he finds and learns and share in his aviation adventure. A fantastic collection of aircraft, artifacts, weapons, and engines – and we are always adding to our collection. Click here to find out more. 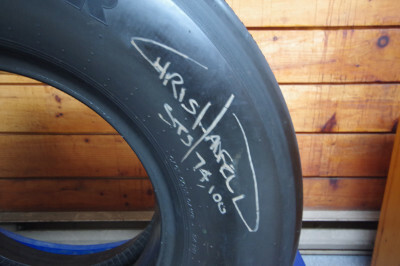 Space Shuttle Columbia, come and see the actual tire generously loaned to us by Michelin and signed by our very own Canadian Astronaut, Chris Hadfield.